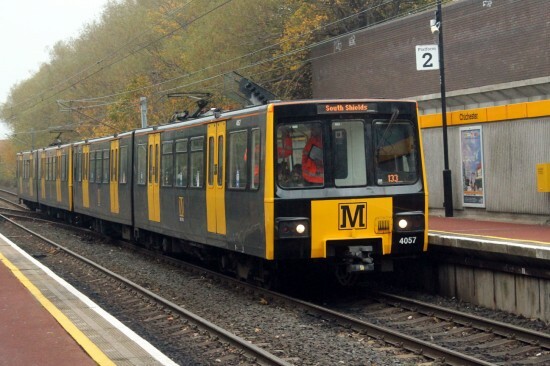 Tyne and Wear Metro services returned to South Shields on Sunday 4th November following the conclusion of the latest stage of works in connection with the £21 million new transport interchange, due to open in 2019. All services had been terminating at Chichester for the previous five weeks and now for the next six months platform 2 at Chichester will not be served by any trains. 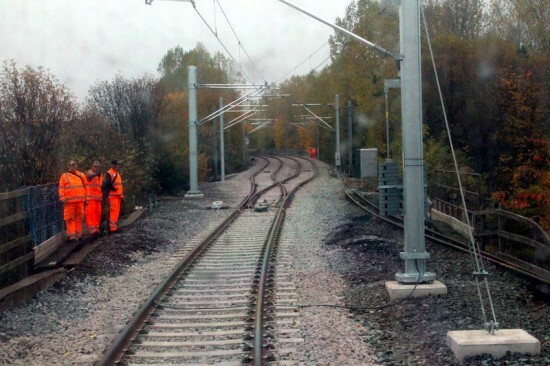 During the last five weeks work has seen the line realigned and singled to well before the new South Shields interchange platform. Currently trains will still serve the old platform until the full interchange opens and for the next six months there will be further service changes with platform 2 – the outbound platform from South Shields – at Chichester closed. As a result passengers travelling to Chichester have to travel beyond the station before returning the other way. This closure will be in place until August 2019 when the interchange is due to open. Back on 13th April 2011 and the old layout at South Shields is seen. 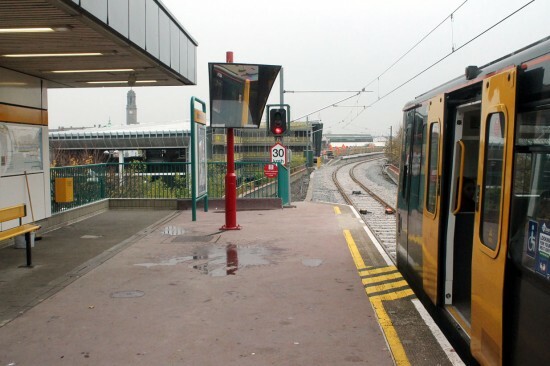 As shown here the double track ran right up to the single platform. Fast forwarding to the present day – 5th November to be precise – and the new track layout is seen with 4074 waiting at the current platform. In the distance can be seen the new platform at the interchange – which will mean a shortening of the line – and the single line layout. Alas the window on 4024 is a bit dirty but you still get the idea here showing where the double track becomes single on the approach to South Shields. 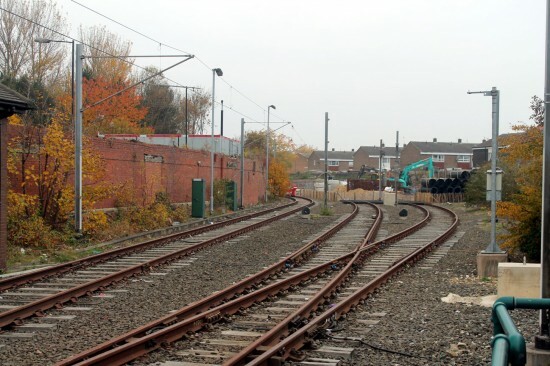 This is a view of the station yard at South Shields which will be the site of the new Metro Maintenance and Renewals Skills Centre. 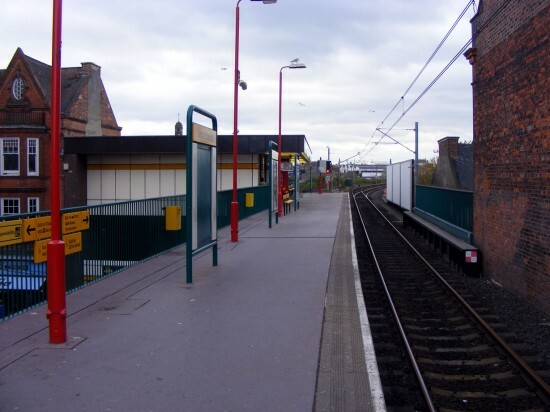 In the days that this line was part of the national British Rail network this was the site of South Shields station. This entry was posted in Tyne and Wear Metro. Bookmark the permalink.